Innovative and disruptive industries are advancing technology at an exponential rate. In mid-September, industry experts joined Raj Lala, President & CEO of Evolve ETFs, to discuss the trajectory and predictions for some of these industries. 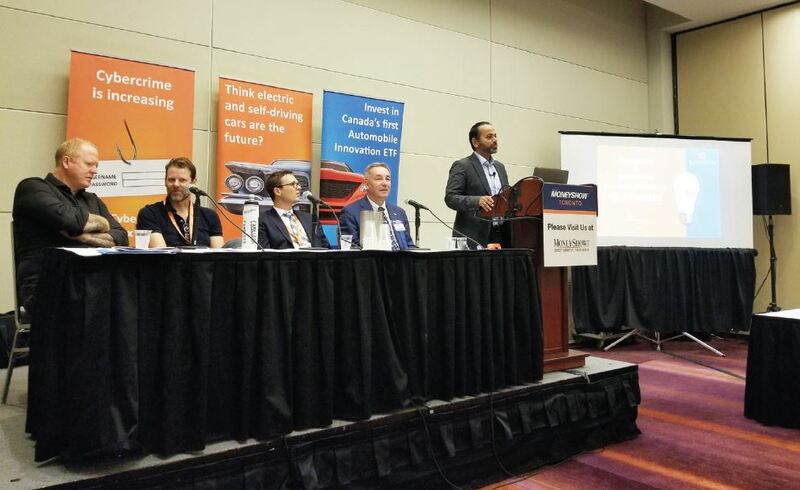 Audiences at the TMX and Toronto’s MoneyShow gathered to gain insight on recent developments in Artificial Intelligence (A.I. ), robotics & automation, big data, self-driving & electric vehicles, cyber security, and social media. Guests learned about how these disruptive trends are being positioned within ETFs (Exchange-Traded Funds) as we enter the Fourth Industrial Revolution. Guests gather to learn about disruptive & innovative trends coming in the next 20 years. Featured speakers for ‘20 Years in 45 Minutes’ at the MoneyShow Toronto. (Left to right) Nik Badminton, Futurist; Ted Graham, Head of Innovation at GM; Elliot Johnson, Chief Investment Officer at Evolve ETFs; Robert Hudyma, Professor at Ryerson University; Raj Lala, President & CEO of Evolve ETFs (Host). Interested in evolving investment products that match the evolving tech landscape? 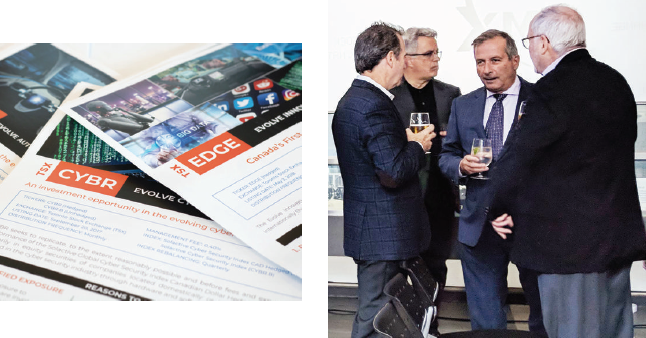 The Evolve Innovation Index ETF (EDGE) provides investors with access to global companies that are involved in innovative or disruptive trends across a broad range of industries.